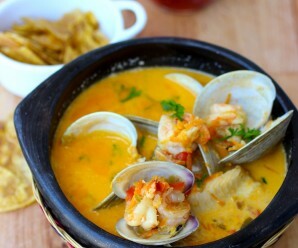 Sudado, or Sudao, is a traditional and popular Colombian dish. Sudado is made with poultry, seafood or meat, and cooked in a rich sauce made with onions, scallions, garlic, tomato, red bell pepper, achiote and other spices. 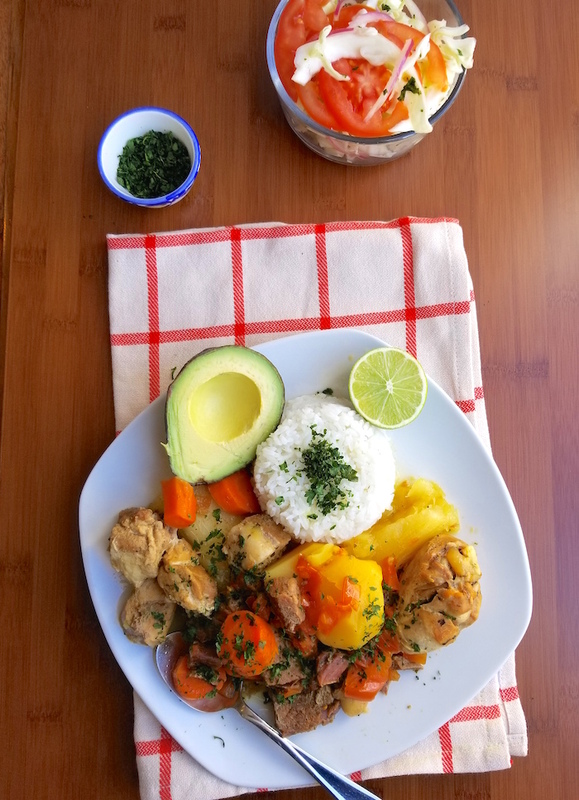 The dish also contains potatoes, yuca and carrots, depending on the taste and style of the person making it. 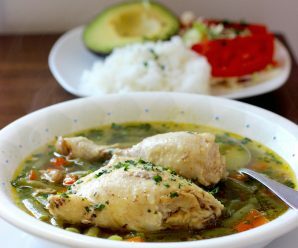 Sudados in Colombia are usually served with white rice, salad and avocado on the side. 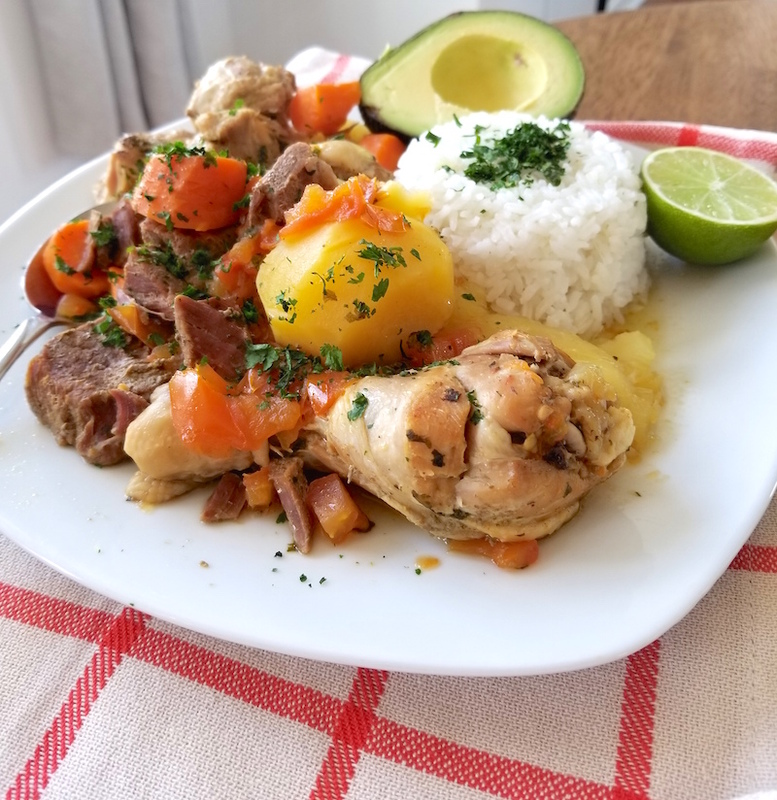 Colombian cuisine has such a large repertoire of incredible and hearty sudados, that the variety seems endless, from traditional seafood sudados on the coast, to meat and poultry sudados in the Andean regions. 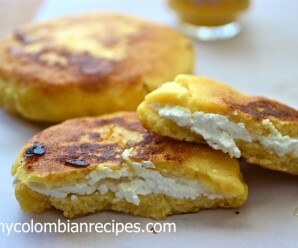 This traditional dish is one of those meals that is made at least once a week in many Colombian homes. 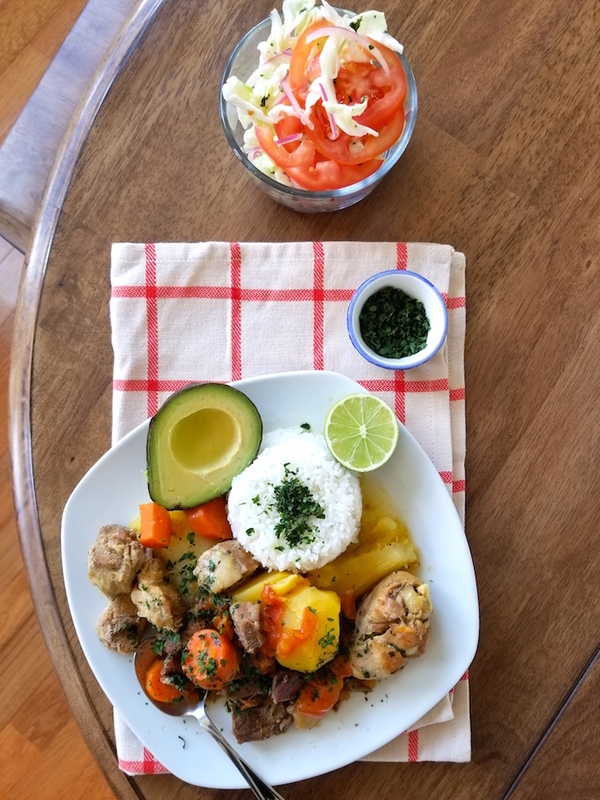 Today’s recipe is Sudado de Tres Carnes (Colombian Three Meats Stew), which combines beef, pork and chicken. 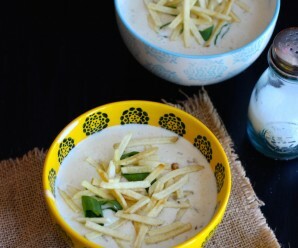 It’s rich, comforting and absolutely delicious. In a large pot, place the water, chicken, pork and beef, aliños, tomatoes, salt and pepper. Simmer over low heat, covered for about 35 minutes. Add the potatoes, carrots and yuca. Then cover and cook for an additional 30 minutes or until the vegetables are soft. Check frequently and add additional water as necessary. Season with salt and pepper, add chopped fresh cilantro and serve over white rice.